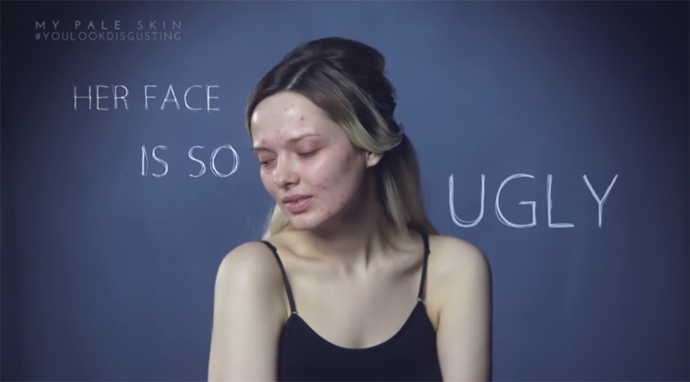 A beauty blogger, who suffers from acne, has come up with a powerful video made of actual comments to her blog. She says the film shows the impact social media has on people’s lives and what unrealistic standards of beauty the society dictates. 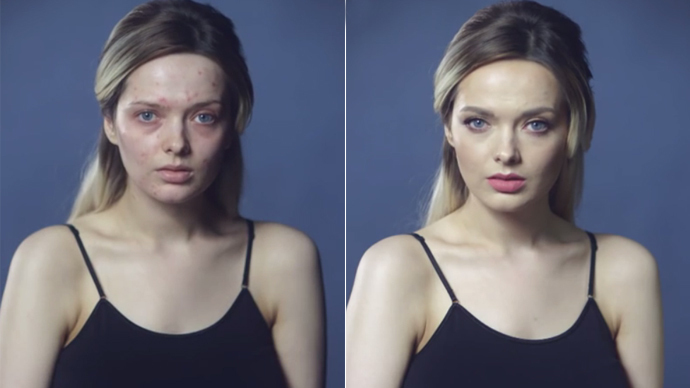 A former model Em Ford, from London, who has long been fighting acne, posted a video on her YouTube blog called My Pale Skin on Wednesday. Since then it has been watched by more than 3.7 million users. Ford says that she started posting images of herself without make-up on social media about three months ago. She claims that the film contains real comments that were left about images of her face. “Over the past few months, I've received thousands of messages from people all over the world who suffer or have suffered from acne, an insecurity or self-confidence issues,” she wrote under her YouTube video. In her film she first poses without any make-up, and acne are clearly seen on her face. “I can’t even look at her,” ”WTF is wrong with her face?”, “Her face is so ugly”, ”You look disgusting” – these are the comments she saw while posing on photos without any cosmetics. “Too much make-up,” “This is misleading,” “You are so ugly. That’s why you wear make-up” and “Imagine waking next to her in the morning,” the comments read. Hashtag #youlookdisgusting has already seen nearly 4,000 retweets on social media, according to topsy.com.